Are Apple’s iPhone XS and XS Max the best mobile devices money can buy right now or does Samsung’s Galaxy Note 9 manage to beat them both in terms of real-life system speed, battery life, camera performance, and overall durability? That’s an almost impossible question to answer for reviewers without fear of bias accusations, and even nonprofit organization Consumer Reports found it tricky to separate the latest flagships from the top two smartphone manufacturers in the world. Ultimately, while the consumer advocacy association discovered Apple made important progress in its in-depth, 100 percent impartial iPhone XS and XS Max testing, the two high-performing iOS handsets were edged out by the Note 9 for the world heavyweight title. Compared to the iPhone X, which Consumer Reports rated surprisingly poorly last year, the XS and XS Max are praised for substantial battery life improvements, subtle camera upgrades, and faster performance. Unfortunately for Apple, device durability remains a major weakness, especially when pitted against Galaxy Note 9’s resilience in brutal tumble tests. Still, the iPhone XS Max can be impressively tough, with one model withstanding 100 drops from different angles without breaking, but all in all, it’s probably a good idea to buy a decent protective case. Circling back to CR’s battery life evaluation, it’s worth pointing out that the results don’t exactly align with those yielded by our own benchmarks, as well as others across the web, which is obviously a matter of methodology. 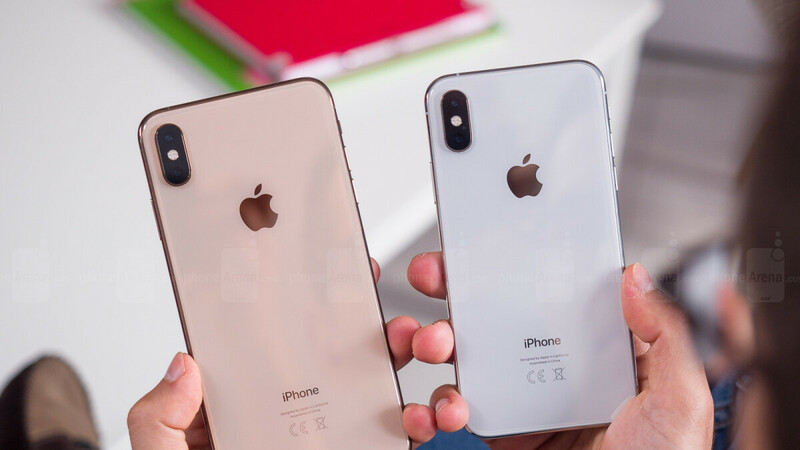 The robotic finger used by Consumer Reports found that both the iPhone XS and XS Max are considerably better than their now-discontinued forerunner at continuously browsing the internet, taking pictures, and making phone calls. On the not so bright side of things, charging times are still modest. All in all, Consumer Reports is certainly happy about Apple’s tweaks in “all the right places”, but the Note 9 (narrowly) retains its crown. Nothing can match the Note 9 in terms of all round productivity and media consumption . That display , speakers and the battery . Oh you'll never stop, will you? I’ll give you that the Note 9 beats the Xs Max in niche productivity workflows like signing documents and doodling but tests on the display, speakers and battery have all come back as a Xs Max win. Have you, though? I have 2 coworkers that have the XS Max & they both had to adjust their brightness when compared to my Note 8. Yes, 8. Galaxy Note9 > all electronic device. it's the king of everything. even if someone asks me a recommendation for ultrabook i would suggest just get the Note9. long live the king of portable productivity instrument. Consumer reports really underplayed the improvements in camera quality in their article. “Slightly improved camera”, while that’s true in normal lighting, the Xs camera has improved in tricky lighting scenarios, so low light and HDR shots. Slightly improved seems pretty accurate based on the samples I've seen. Can still easily pick them out of a line up and that's not a good thing. Understandable results, considering the fact that this is easily one of the best phone from 2018. Kudos to both Apple and Samsung for leading the market as always! The only market that Apple leads is the one with profits. They literally do not lead in anything else, not in features, not in innovation, not in software, nothing literally. They had a whole year and a "trillion" dollars behind them to make a top camera phone and they still got beaten by a year old Pixel 2. If anything Apple has finally shown us that they do not care at all to be the best. "They had a whole year and a "trillion" dollars behind them to make a top camera phone and they still got beaten by a year old Pixel 2" C'mon pixel 2 doesn't even have zoom. And yes iPhone XS camera is very top of the market and definately beats Pixel 2. https://www.phonearena.com/news/iPhone-Xs-Max-vs-Galaxy-Note-9-Pixel-2-XL-camera-comparison_id109227 it wasn't even close Results from their smart HDR is something which we haven't seen before from smartphones. The harder the photograph situation gets the better results iPhone shows. If someone thinks pixel 2 has better camera, he doesn't know much about photography. Pathetic statement. Do you not see how awful is your note 9 and pixel 2 cameras compared to Xs Max. Don’t get butthurt on how apple should price or do with their phones. They will not profit if people is not satisfied with their phones. Your android garbage are good enough for a year. That’s the plan of obsolescence. Pixel 2 has a better camera than iPhone XS? That's a ridiculous statement to make. Sure, it may produce more contrasty and eye-pleasing images than iPhone XS(only in daylight though), but in low light it's simply not up to the level of iPhone XS, Note 9 nor P20 Pro. Also it cannot record video in HDR, cannot shoot in 4K 60fps/FHD 240fps, heck it doesn't even have a telephoto lens for optical zoom. So again, how can you say it's better? iOS is great on its own and for many people that alone(and the fact that it's part of Apple's strong ecosystem) can be the reason to buy this phone. iPhones have great performance too, and don't forget 5 years of OS update support. I might sound like an Apple fanboy but this is coming from the user of both Android and iOS. It's second best mobile phone camera in the market "DxOMark today published the results of its in-depth analysis of the iPhone XS Max's rear camera. Apple's flagship smartphone achieved an overall score of 105 points, trailing only the Huawei P20 Pro at 109 in the site's all-time rankings. " I have the Note 9 and it's the first time I can't find one deslike!! In any single device I had some disappointments but with Note 9 I feel like I am 110% pleased with that device. And PA rated Note 9 "9.0" while the Iphone Xs and X Max are rated "9.3". That's .03 points ahead. Hmmmmm. As an owner of both, I can honestly say, the Note 9 is clearly the better phone. Apple needs to take better advantage of the Max screen size, but they elected not to. What's so impressive about a phone that's slighty upgraded from the one we got last year? Obviously enough to rate it better than one that was launched a month & a half later. Also, you're on a tech blog. Use the search bar. They can't take that the iphone xs being beaten. Also just drop your battery life test, it is not something to rely on as a source. i cant see myself spending over 1k for specific brand if i can get same stuff done with different device for half the price or even more.